The Daawodi Bohris are a close-knit global community that originated in Yemen and later spread to East Africa, Pakistan, and India. In India, this subsect of Shia Muslims is mainly concentrated in Gujarat and Maharashtra. The Bohri culture and traditions showcase a fascinating blend of different regional and religious influences. Their language Lisan al-Dawat is a dialect of Gujarati. Bohri women dress in Ridas which covers the whole body but come on a dazzling array of colours and designs and purposefully eschews black. However, it is their fascinating eating habits that has drawn attention in recent times. A Bohri meal is served on an oversized plate called Thaal that’s usually raised a foot from the ground by a Tarkari (small stool). The entire family sits around the Thaal, which is big enough to accommodate up to eight people. Dishes are placed at the centre of the Thaal and are shared by the diners. 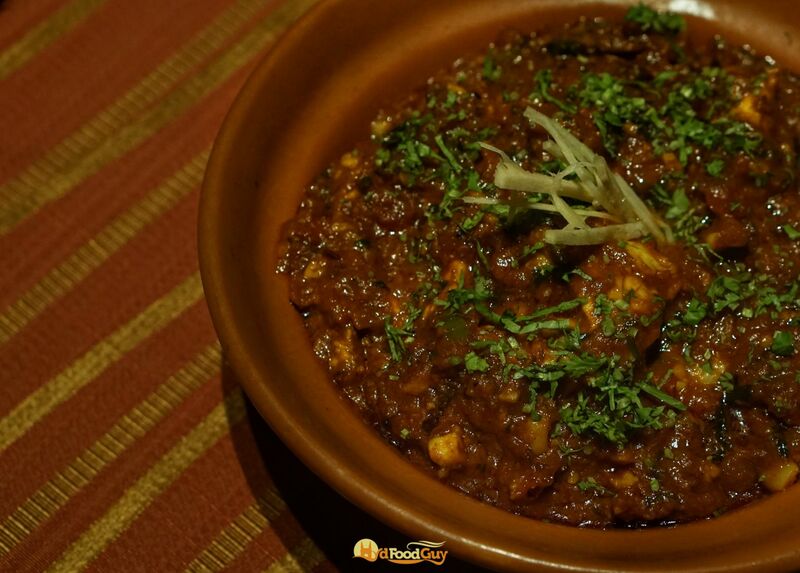 While this kind of communal eating might sound strange to others, Hyderabadis will instantly spot similarities with the eating habits of the Yemeni settlement at Barkas, which has now been popularized by Mandi restaurants across the city. A Bohri meal always begins with a pinch of salt, which is believed to boost appetite. The maiden course, surprisingly, is a dessert (Mithaas). The sweet dish is immediately followed by a savoury (Khaaras), and this alternation between sweet and savoury might be repeated several times. A simple homely meal might contain only two Mithaas and one Khaaras, but a celebratory meal or a wedding feast will feature a significantly higher number. Wastage, however, is a big ‘No’, and every morsel of food served on the Thaal is expected to be finished. 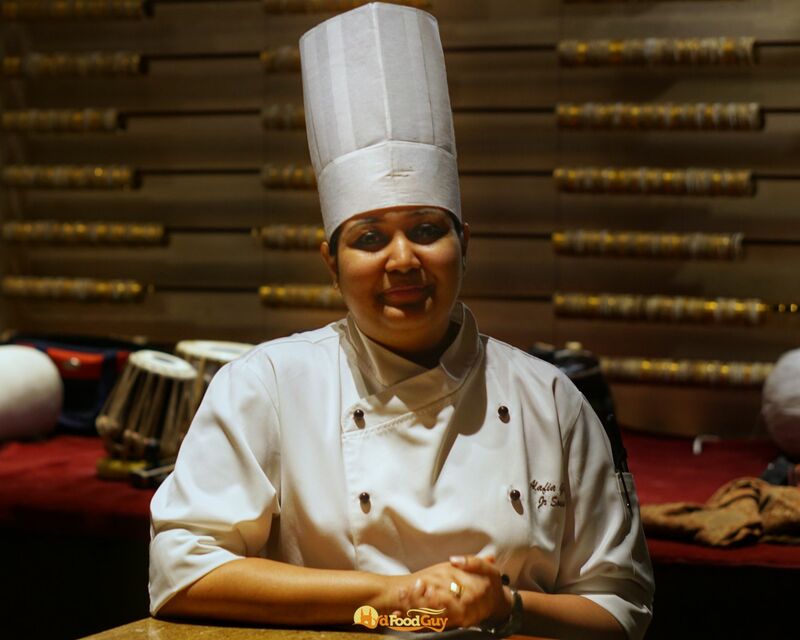 Westin has flown in Chef Alifiya Galabhai from Westin Mumbai Garden City to host the first ever Bohri Food pop-up in Hyderabad. 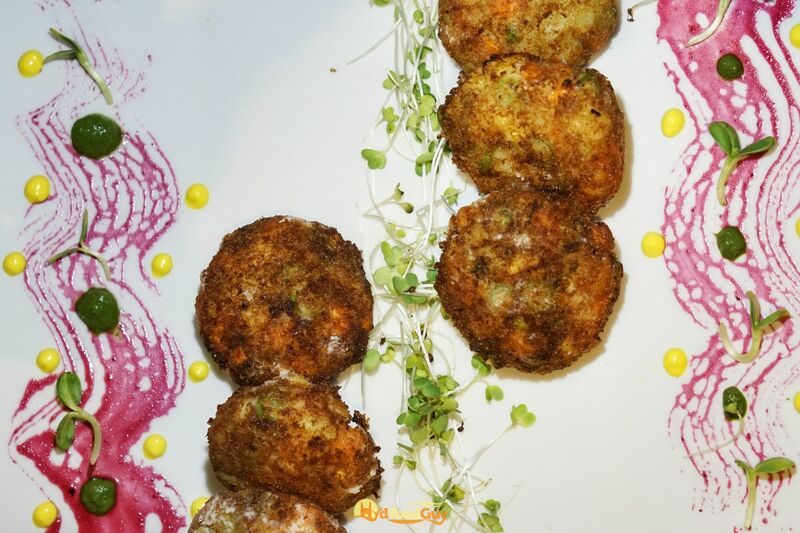 The Bohri specialities by Chef Alifia will be served every day at Kangan (dinners only), and also in the Seasonal Tastes Sunday Brunch. 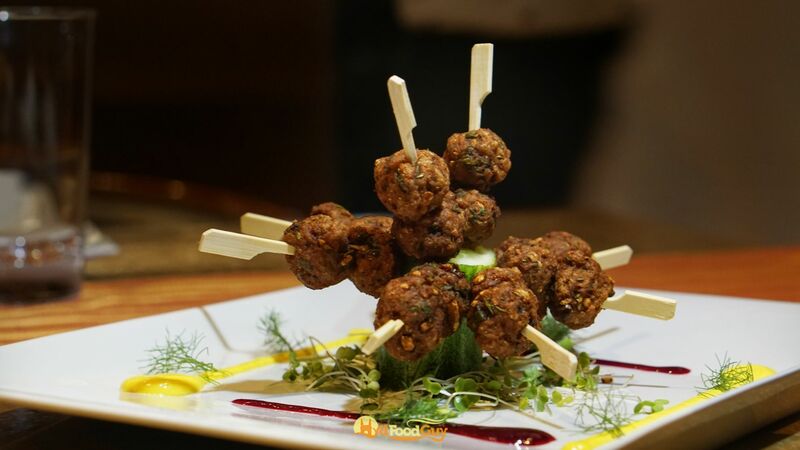 While you won’t be able to experience eating from a Thaal at Kangan, the multi-page pop-up menu offers a great introduction to the enthralling culinary traditions of the Bohri community. “Bohri food isn’t difficult to prepare, but it demands heaps of patience”, explained Chef Alifiya. The Paaya which was served as Soup to us was simmered for over 12 hours. The trotters are removed from the finished dish and the broth is served with a topping of browned onions. 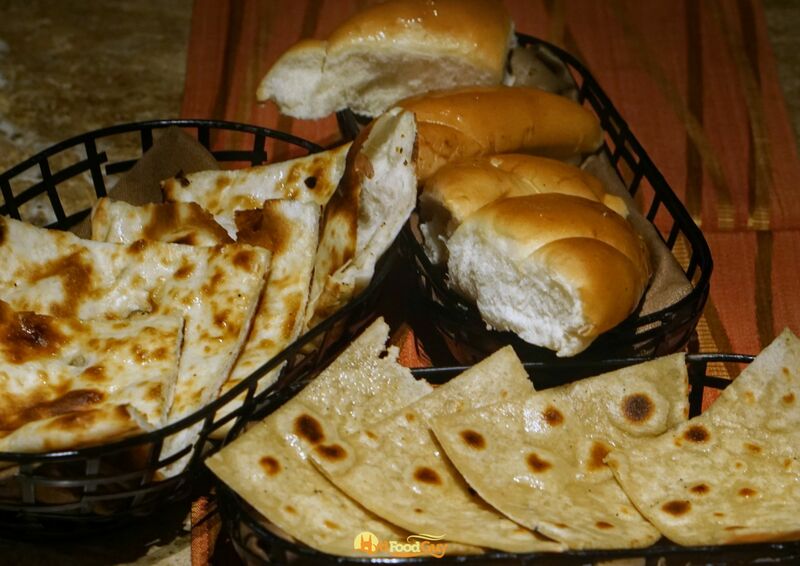 Unlike the Paaya in most parts of the country, the Bohri Paaya is pale in complexion. Light on spices, it lets the rich flavour of the mutton do all the work. 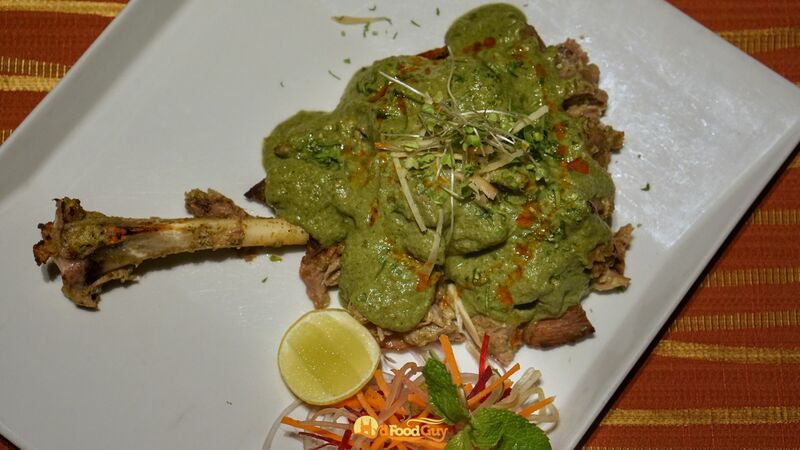 Mutton is one of the most prominent ingredients in Bohri cuisine and was showcased in multiple dishes served through our meal. The Bohri traders travelled to different parts the world, picked up different cooking styles, and adapted them. Bohri cookbooks include dishes as disparate as Khao Suey and Jelly Souffle. Every Bohri household has a Dabba – a rectangular, aluminum baking dish and baked dishes are an integral part of the cuisine. 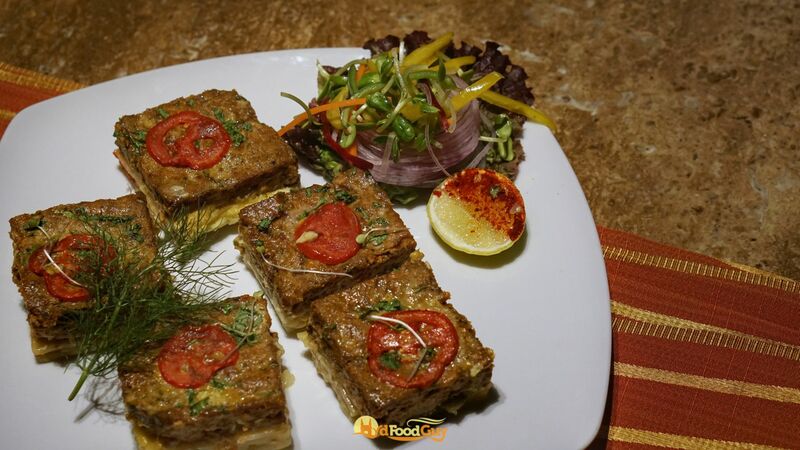 Lagan Ni Seekh is a dish that has less in common with Indian Seekh Kebabs and more with European Casseroles. Thinly sliced potato, doused in beaten egg is placed at the bottom of the Dabba, and then layered with spiced, well marinated minced meat mixture. Another layer of egg and tomato is added and this is then transferred to the oven. The Bohris definitely love their fried patties. 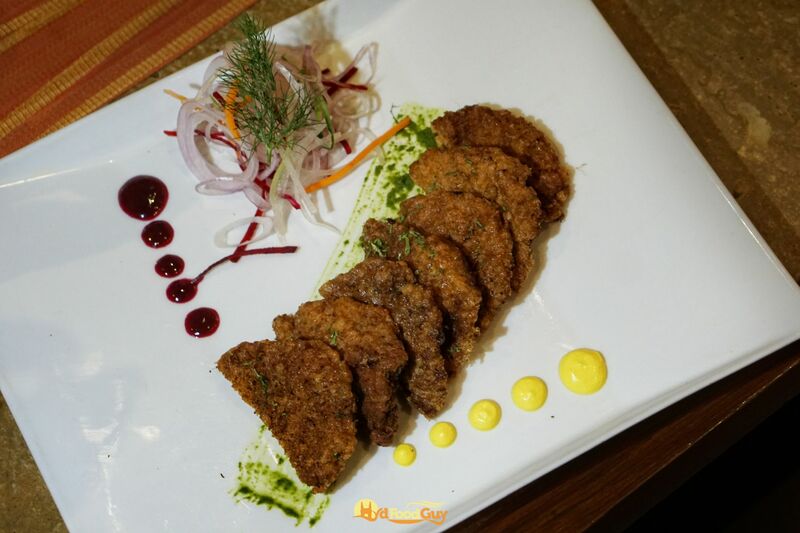 There’s a whole range of cutlets and patties is the menu including Aloo Keema Patties and Nariyal Batata Patties. But it was the Russian Salad Patties that impressed with its ingenuity. This dish is exactly what it sounds like – a mayo-laden mixture of potato and other veggies (Russian Salad) that’s batter fried. The myriad of flavours and textures work beautifully. Smoking is another popular technique used in Bohri cuisine. 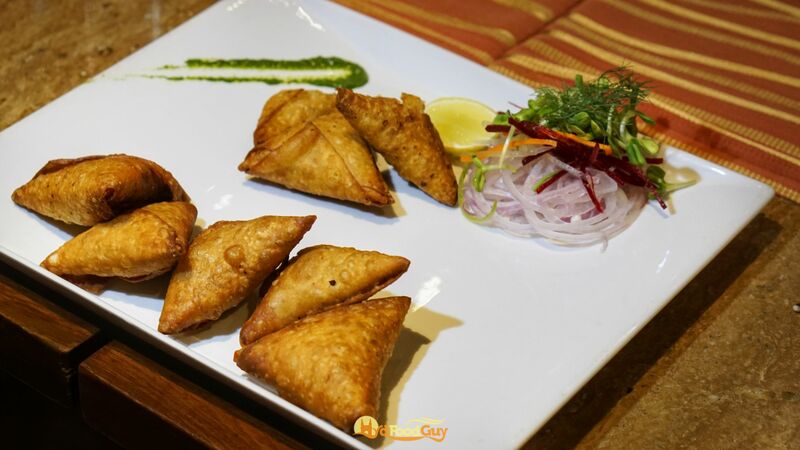 The minced meat stuffing of the Keema Samosa served to us was smoked by drizzling ghee on top of a red-hot piece of coal. The main course, called Jamaan, includes assorted bread as well as rice. I began with the spicy, tangy Bheja Masala that went really well with the soft Lamba Pao. The brain was served as whole pieces and wasn’t chopped up as is common in Hyderabadi preparations. Another Bohri creation that ingeniously mixes Indian and European cooking techniques is Dabba Gosht, a creamy, cashew enriched Mutton gravy. The rather involved recipe involves pre-cooking the mutton with a little water, followed by the preparation of a milky gravy with noodles, and finally baking in the oven. Prior to the baking step, Bohri dishes, including Lagan Ni Seekh and Dabba Gosht, often call for heated ghee to be drizzled from the top. 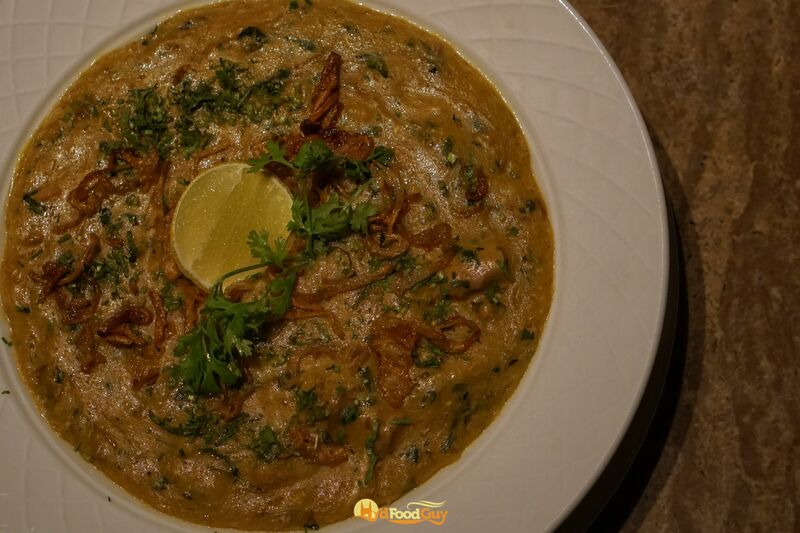 The rice dishes in Bohri cuisine are typically accompanied by a soup. The Massor Pulav served with a cold lentil broth called Sarkhi is a hearty homely staple. 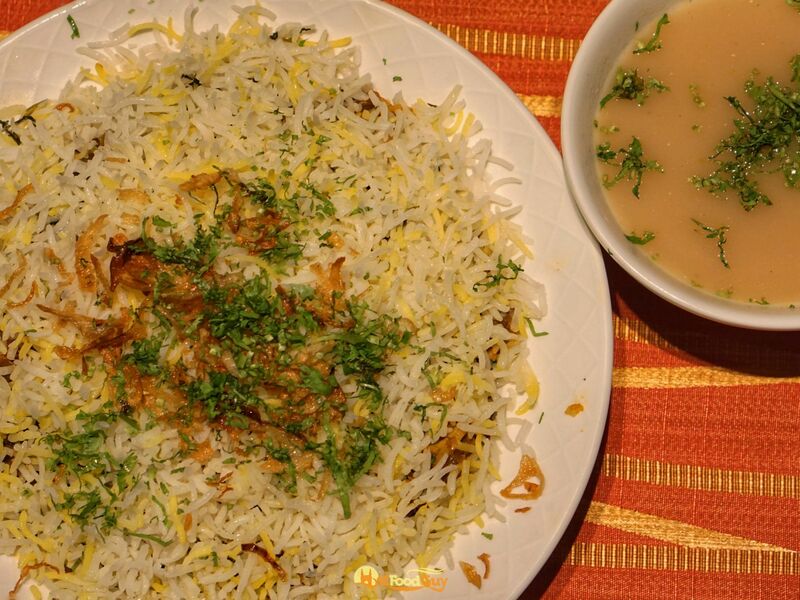 For something a bit more luxurious, opt for the Bohri Biryani. While I usually away from the ‘What’s the best Biryani?’ debates, the Bohri interpretation of this rice and meat medley definitely deserves to be considered among the best. Not high on spices like Hyderabadi, yet not as subtle as Awadhi either. It has an inviting sweetness from apricot, cashew, and onion that’s played against the acidity provided by yoghurt and tomatoes. I was told Potatoes are also used, although I couldn’t find one in the portion served to me. 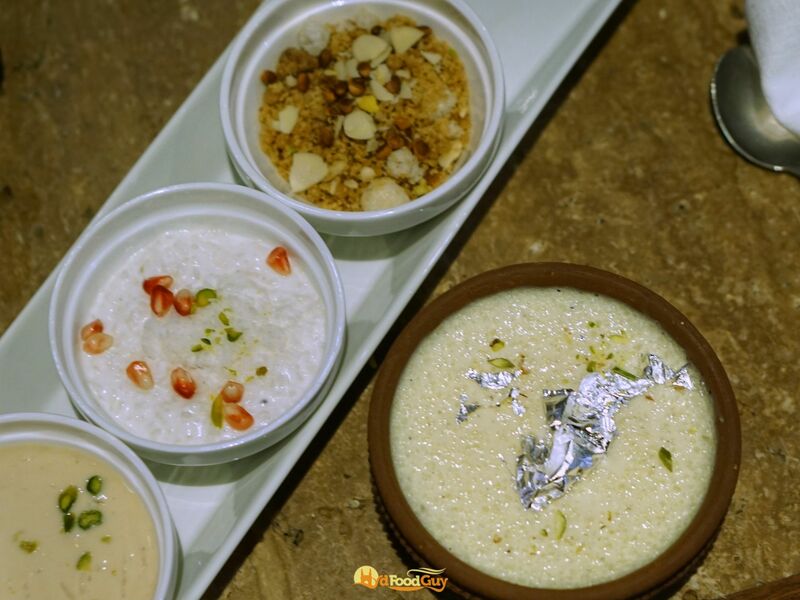 Although a Bohri meal is typically interspersed with desserts, our meal followed the conventional four-course meal structure and ended with the sweet dishes. Malida is a coarse, grainy sweet prepared by crumbling and then frying left-over bread in ghee and sugar. Dry fruits, rawa, desiccated coconut, jaggery, and other ingredients might be added to enhance the flavour. It’s popular across vast swathes of the Indian sub-continent, especially in the Punjab region. However, every region has it’s own slightly different recipe. The Parsi version of Malida (also known as Maledo) served at SBOW was liquidy, whereas this was completely dry. Either way, I’m personally not a big fan of this dish. The nomenclature of Bohri desserts proved to be a tad confusing for me. The dish that looked like a Phirni was called Kheer, while the one that looked like Kheer was called Dhoodhi (Bottle Gourd) Falooda. 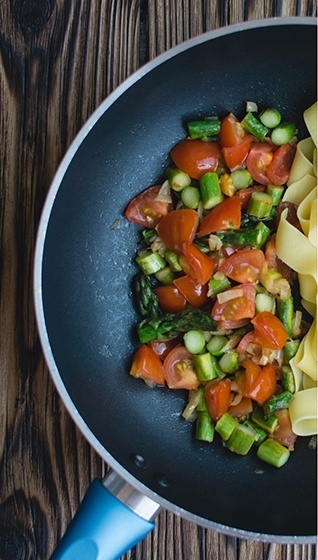 However, once you get past the naming idiosyncrasies, you’ll fall in love with both dishes. 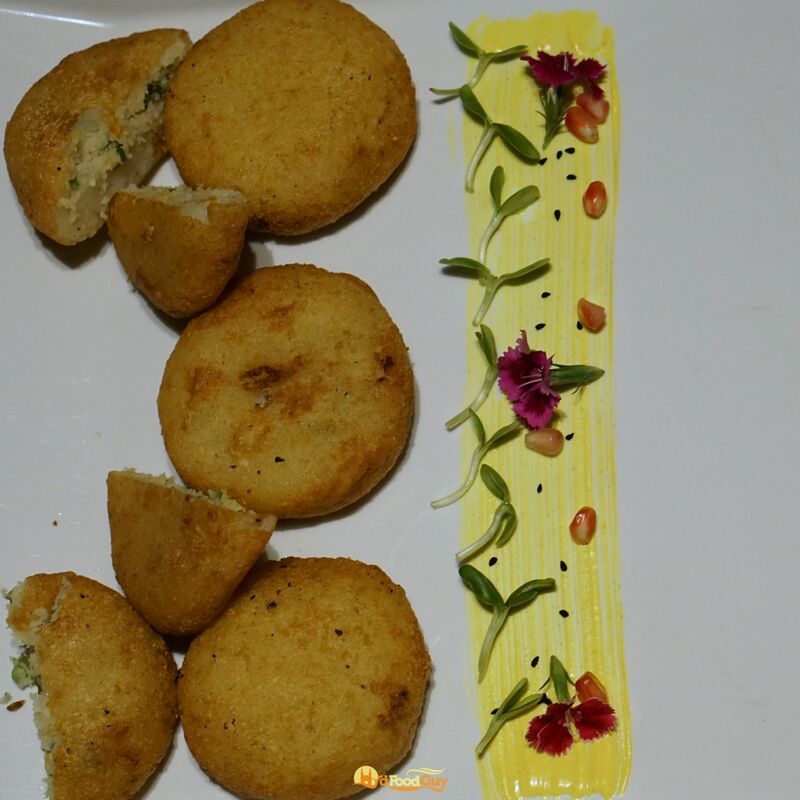 The Kheer was accompanied by miniature Pooris that you could dunk into the Kheer. The final dessert, Karamro, is best described as a sweet version of curd rice. 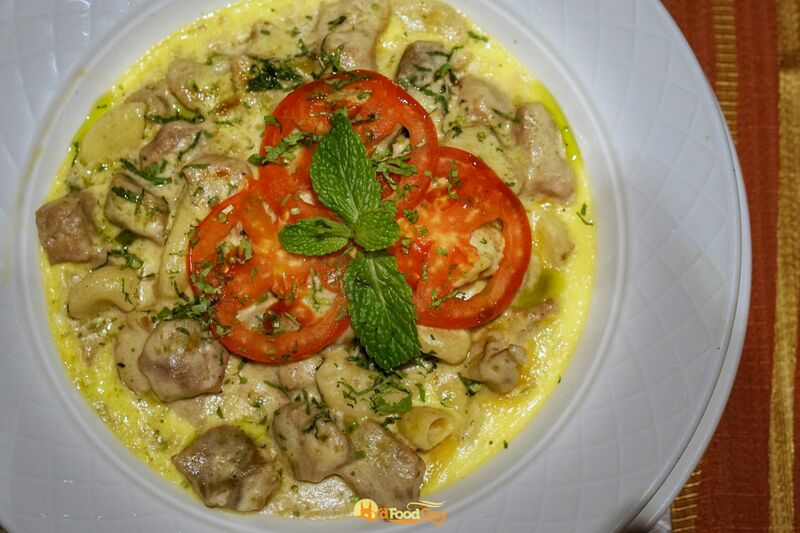 While I’ve no barometer to judge the authenticity of the food, Chef Alifiya is clearly talented and almost everything that came out of the kitchen was delicious. I would have loved to see a TDH menu presented in a traditional Thaal – or at the very least in the traditional Bohri meal structure. It’s always a pleasure to see restaurants moving beyond the Punjabi and Bengali food festivals. 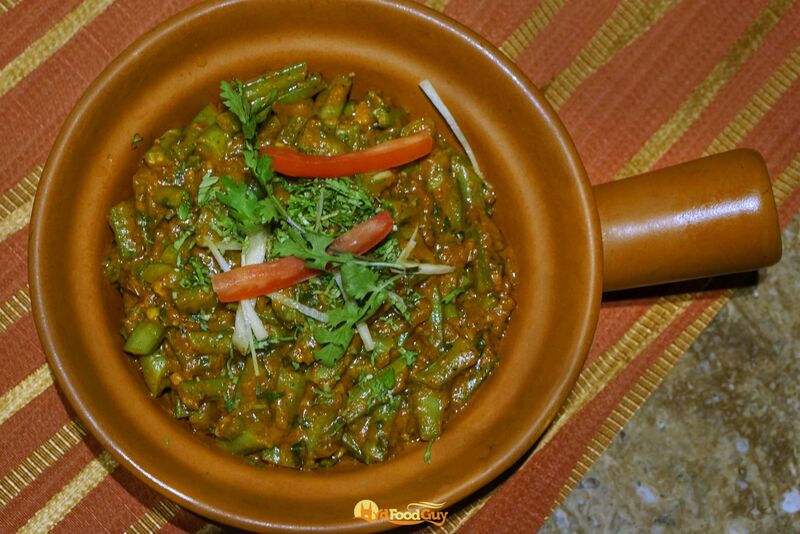 The Bohri fest at Westin is a rare opportunity for Hyderabadis to experience this brilliant yet little-known cuisine. Needless to say, well written. 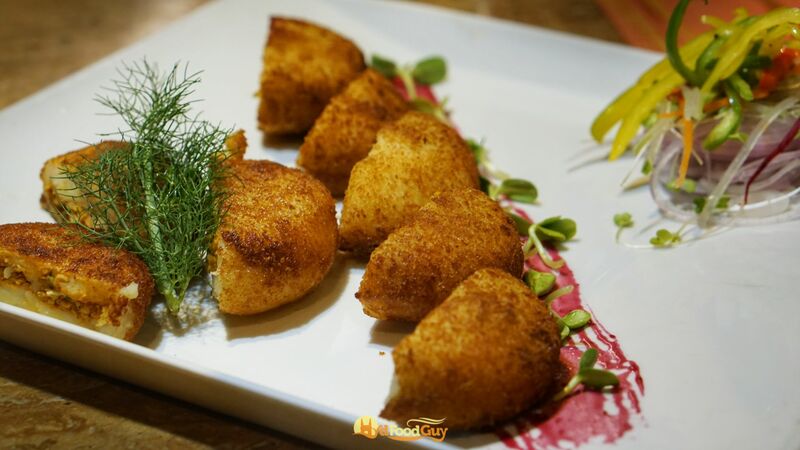 The Russian Salad Patties – is it a result of some obscure Russian influence on Bohri food or was this instance some sort of fusion?